NEW YORK - Stocks closed at their latest all-time highs Wednesday following news that business hiring surged in June, adding to evidence that the U.S. economy is picking up momentum. ADP, a payroll processer, said U.S. businesses added 281,000 jobs last month, up from 179,000 in the previous month. The figure suggests the government's monthly jobs report, due out Thursday, could also show a significant gain from May. The stock market climbed back to record levels a day earlier after separate reports showed that manufacturing expanded in China and the U.S., the world's two largest economies. "We're in the middle of what's been an extended recovery, but there's still a lot of room to go," said Ed Hyland, a global investment specialist at a JPMorgan Private Bank. "We believe that for the stock market as well." The Standard & Poor's 500 index rose 1.30 points, or 0.1 percent, to end at 1,974.62. 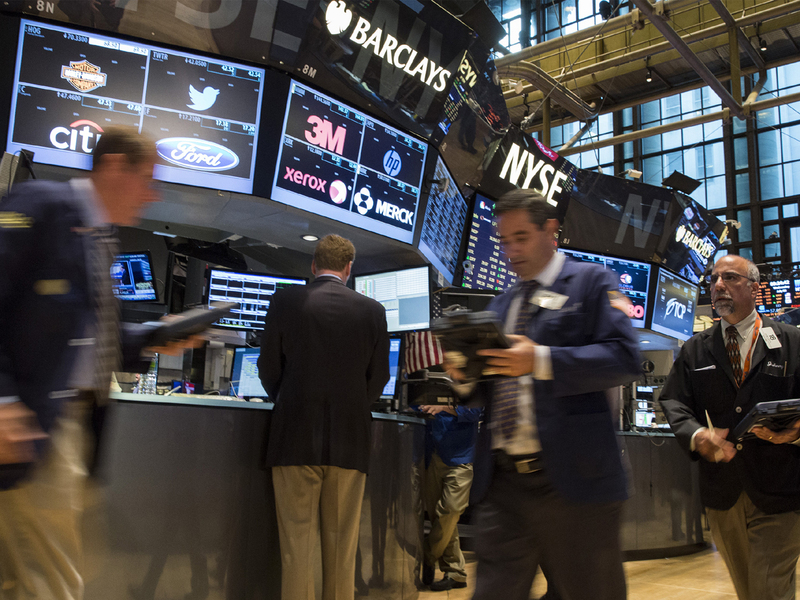 The Dow Jones industrial average gained 20.17 points, or 0.1 percent, to close at 16,976.24. Both the S&P 500 and the Dow are at all-time highs. The Nasdaq composite fell one point, less than 0.1 percent, finishing at 4,457.73. Constellation Brands (STZ), which makes Corona and Negra Modelo beer, was one of the day's biggest gainers. The stock jumped $2.07, or 2.3 percent, to $90.45 after the company said its fiscal first-quarter net income soared. .
Delta Air Lines (DAL) was the day's biggest decliner. The stock dropped $2.07, or 5.1 percent, to $38.24 after the company said that growth in a key revenue figure slowed in June. Delta said revenue per passenger fell on international routes because of a dip in business travel to Latin America during the World Cup soccer tournament and more passenger-carrying capacity among all airlines. Delta's stock is still up 38 percent this year. Government bond prices fell. The yield on the 10-year Treasury note rose to 2.62 percent from 2.57 percent on Tuesday. The yield on the note, which rises as prices fall, has climbed from 2.45 percent at the end of May as signs have emerged that the economy is strengthening. The impact of rising bond yields was also felt in the stock market. Utilities fell the most of the 10 sectors that make up the S&P 500, declining almost 2 percent. Investors had bought utility stocks at the start of the year as bond yields dropped because utilities pay rich dividends. Should the economy continue to improve and bond yields rise, investors will likely start to take money from the bond market and instead invest it in stocks, said Jeff Knight, head of global asset allocation at Columbia Management, an asset manager. Stocks that should benefit most from an improving economy, such as industrials, should do well. "Those sectors that tend to be thought of in yield and income terms, like utilities or telecoms, would be laggards," said Knight. Rackspace Hosting (RAX), a provider of data-storage and other services, jumped $2.13, or 6.3 percent, to $35.88 on reports that the company wants to go private, allowing it to focus on its business without have to worry about public accountability. Monsanto (MON) rose $2.23, or 1.8 percent, to $126.53 after the company said late Tuesday that it had entered into an "accelerated share repurchase" agreement with JPMorgan and Goldman Sachs. Under the terms of the agreement the company will buy $6 billion of its own stock. Bank of America (BAC) rose 25 cents, or 1.6 percent, to $15.85 after analysts at Deutsche Bank raised their rating on the stock, saying that many of the potential negatives have already been identified and priced in. Bond trading should pick up after a slump and more merger activity should also boost fees, the analysts said.